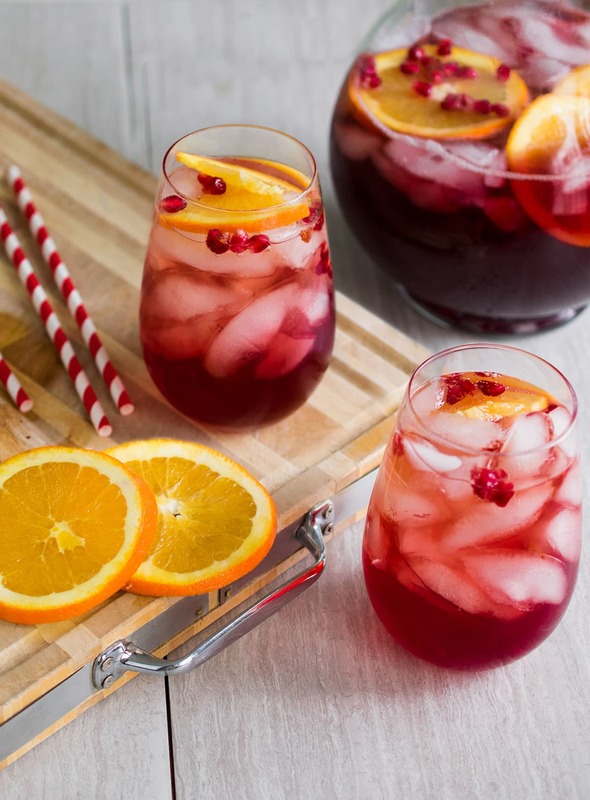 This Sparkling Christmas Punch is a satisfying holiday punch made of cranberry, pomegranate, and orange flavors to create a delightful drink for your holiday party or for yourself! Happy Holidays! What is sparkly, festive, sweet and sassy? Well…I like to think I am (lol), but I am actually talking about today’s Christmas Punch Recipe! Below is a delightful recipe that will add some merriment to your next holiday get-together. A sweet, tangy combination of cranberry, orange, and pomegranate juices combine to make this festive holiday punch. It’s also really pretty, because I love super contrasting fruit garnishes in my drinks. Or fancy umbrellas…corny maybe, but I heart them always. I love sweet cocktails like this pomegranate and cranberry punch, which I prepared with fresh pomegranate seeds, orange slices, and simple syrup. Of course, a little triple sec, vodka, and some gingerale as well to give it that fun fizzy texture. For this particular cocktail I used Pom Pomegranate juice and 100% Cranberry Juice from Ocean Spray, but most brands of juice are perfectly fine to use. I also sometimes like to change it up and use Cran-Cherry or Cran-Rasberry. I put myself through college as a bartender and cocktail waitress at a wonderful old style bar and lounge. Although I very rarely drink, I loved the atmosphere and the fun of creating beautiful drinks. I could prattle on about the history of bourbon, but I enjoyed mixing the fruity cocktails the most. Making a perfect cocktail is certainly an art based on ratios and flavor combination. This recipe was a great joy to develop and bring back my fond memories of a different time in my life. I hope you and all of your holiday guests enjoy it! In the photographs, you will notice that I garnished this with orange slices and fresh pomegranate seeds. Fresh cranberries also work well since it is cranberry and pomegranate juice. 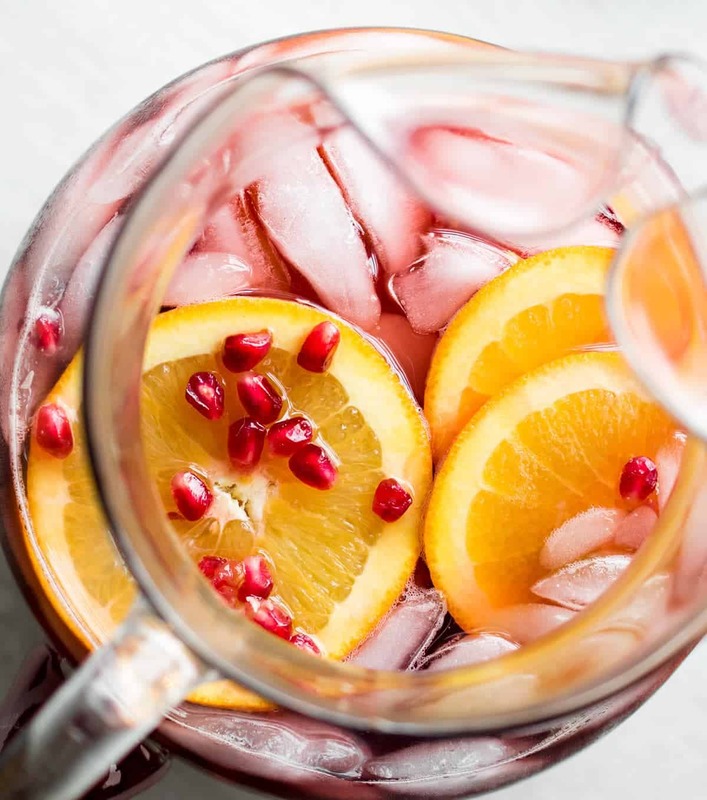 However, if you intend to serve this Christmas Punch with straws, the pomegranate seeds can make trying to drink it a little awkward – they tend to get stuck in the straw. In that case, skip the pomegranate seeds or use fresh cranberries as well. Cranberries look cute but don’t eat them (bitter!). I have included both an alcoholic style and substitutions for the non-alcoholic variety. The alcoholic version is more of a punch than a cocktail and the vodka can be increased to personal preference. This punch also translates very well to a non-alcoholic version. In fact, I gave it to my son and he gave it the thumbs up as one of his favorite new combinations. You may substitute the triple sec for any regular pulp-free orange juice or orange flavored water. The orange juice will change the color a bit, so orange water works as well. Obviously, skip the vodka and double the gingerale for extra fizz. The additional ginger-ale will also sweeten the drink so I wouldn’t worry about adding any additional sugar or simple syrup. 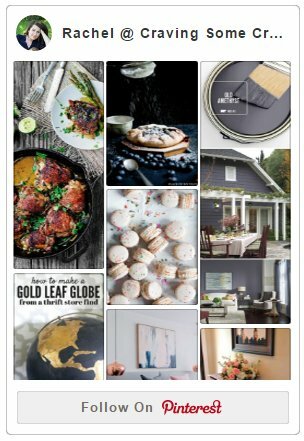 LOOKING FOR MORE DELICIOUS COCKTAILS AND MOCKTAILS? LOOK NO FURTHER! Simple Mesh Strainer – use in place of most any recipe that asks for cheesecloth. Reusable Ice Cubes – watered down drinks are terrible. These keep your drink cold without diluting it and these are clear and BPA free! The perfect wine glasses – these stemless wine glasses are perfect for sipping! Awesome Straws you can’t live without: I’m sure these are a limited time thing, don’t miss out on all the awesome and unique flamingo fun! Hope it adds just a little more merry in your holiday season. Happy Holidays to you and your family! Making the simple syrup is optional depending on what kind of cranberry juice you purchase. Some store brands are sweeter than others and I generally skip it if I am using a cranberry juice combination. To make the simple syrup, in a small pot over medium heat, combine the sugar and water together. Heat until the sugar is completely dissolved. Remove from heat and cool. In a pitcher or punch bowl, combine all of the ingredients and chill if necessary. Top with fresh gingerale and orange slices just before serving. Non-alcoholic substitutions: You may substitute the triple sec for any regular pulp-free orange juice or orange flavored water. Skip the vodka completely. Double the gingerale for extra fizz. It looks so good!! Thank you for sharing the recipe! It will be a surprise for my guest this holiday.